Engagement in meaningful activities, community belongingness and connecting with individuals who share similar goals, are all important components of recovery. Mutual aid groups offer all of the above with the additional benefits of finding support through others who have experienced similar challenges. Also known as self-help groups, groups of this nature are designed to decrease the shame associated with substance use and mental health, instill hope in their members, and pool the collective knowledge of each individual involved. Connecting with peers in various stages of recovery offers us the opportunity to both learn and teach others about community supports, coping strategies and overcoming barriers in a safe and supportive environment. 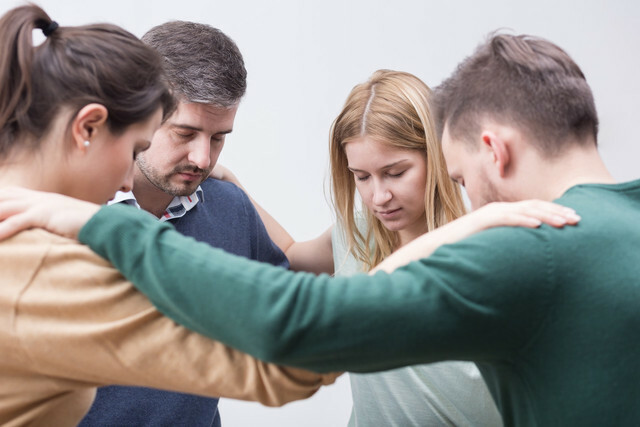 Mutual aid groups are available with a variety of differing themes; a few examples of popular mutual aid groups focused on drug and alcohol recovery include the 12-Step program (AA, NA, CA), SMART Recovery and Women for Sobriety. Substance specific groups are not the only options for those interested in recovery, support groups for depression, PTSD, grief and so on, can also provide the benefit of connecting with others who have shared similar experiences and who have the common purpose of finding and giving support. These groups are particularly helpful for those living with chronic substance use as many are available indefinitely and allow members to engaged, disengage, and re-engage when needed. Each group is unique in terms of their members, dynamic and atmosphere. Try not to get discouraged if you do not find the best fit right away, you may need to try a variety before you feel at home. Twelve step programing is an important component of Greenestone’s treatment program, while it remains optional, it is highly encouraged by our treatment staff. Greenestone hosts three on-site meetings each week incorporating Alcoholics Anonymous, Cocaine Anonymous and Narcotics Anonymous. Each Thursday, Greenestone opens its doors to our community members with an open meeting; any Greenestone alumni, local residents, vacationers or those interested in trying 12 steps are welcome to attend. To supplement, staff members will provide our clients transportation and support to local 12 step groups in Port Carling, Bala, and Gravenhurst when possible. Each client of Greenestone will have a chance to connect with our onsite aftercare specialist and discharge planner who offer support in developing personalized recovery plans and connecting our client’s to resources in their communities. If you are an active AA member or exploring addiction recovery and are in the Muskoka area, please feel free to join us each Thursday from 8:00 p.m. – 9:00 p.m. for our open speaker meeting. For more information, please call us at (705)762-5501. At Greenestone Muskoka we encourage an abstinence-based lifestyle but we recognize that each individuals journey is different; we aim to embrace the desires and needs of each person which includes meeting all of our clients where they are at. With the recent legalization of Cannabis in 2018, it’s important to draw light to harm reduction, especially in regards to substances that are legal in Canada. Harm reduction is an approach used to reduce the harms associated with drug use for those who are not prepared to discontinue their use of substances. The goal is to find the safest way to continue use that will result in the least amount of health and social impacts. Abstinence is the only way to ensure you do not experience any impacts of cannabis use: all substances, if misused, can lead to health, social, financial, and possibly legal consequences. The only way to completely avoid the risks associated with cannabis and other drugs is to not use them. Delay cannabis use for as long as possible: as our brains continue to develop into early adulthood, using cannabis at a young age increases all associated risks, especially in those younger than 16. Use products with lower amounts of THC: products with higher amounts of THC (tetrahydrocannabinol) are more likely to cause dependence and/or mental health issues. Choose products lower in THC and higher CBD (cannabidiol). CBD products have been linked to support pain and anxiety relief, speak to a health care profession for more information. Do not use synthetic cannabis products: these products are dangerous and can lead to serious health complications including seizure and death (example: K2, spice). Avoid smoking cannabis: smoking anything can increase negative health impacts on our lungs. If engaging in cannabis use, safer use methods include vaping and edibles. If smoking, avoid inhaling deeply: deeply inhaling smoked products and holding the breath can put us at increased risk for absorption of chemicals and the development of lung problems. Limit the frequency of your use: using cannabis frequently will increase the likelihood of developing a dependence or experiencing negative consequences. Limit your use to 1-2 times weekly. Do not drive or operate heavy machinery: cannabis impairs our judgement and reaction time; the effects of cannabis use can last 6+ hours. When combined with alcohol, impairment will increase. It is illegal to drive a vehicle while impaired by cannabis. Avoid use if you have a personal or family history of mental illness and/or addiction, or if you are pregnant: users who identify with the above are at increased likelihood of experiencing risks associated with cannabis use. Avoid combining any of the above-mentioned factors: the purpose of these guidelines is to reduce the risk of harm associated with cannabis use. The most risks you take, the greater chance you have of experiencing negative impacts. Please take note that these guidelines have been developed for recreational use of cannabis and do not apply to cannabis use for medical purposes. If you are concerned about your medical cannabis consumption, please connect with your prescribing doctor. If you have concerns regarding your recreational use of cannabis, please call Greenestone Muskoka at (705)762-5501 to speak with one of our intake workers on the supports available to you. Fischer, B., Russell, C., Sabioni, P., van den Brink, W., Le Foll, B., Hall, W., Rehm, J. & Room, R. (2017). Lower-Risk Cannabis Use Guidelines (LRCUG): An evidence-based update. American Journal of Public Health, 107 (8). DOI: 10.2105/AJPH.2017.303818. To some, it may sound counterintuitive, but addiction is a disease. Similar to cancer or diabetes, addiction targets brain and body functions while having lasting impacts on many areas of a person’s life. Being witness to the suffering of a close friend or family member is heartbreaking to say the least; when it comes to addiction, it can be difficult to know how to provide care and support to those afflicted. Supporting a loved one through addiction and recovery is the strong foundation the addict will need in order to succeed in the hard journey to come. Showing compassion and support to those who are seemingly hurting themselves with drug and/or alcohol use is challenging, but that is exactly what is needed to foster recovery. Individuals engaged in patterns of substance abuse frequently get trapped in cycles of shame and guilt and use substances to numb these feelings along with stress, trauma, mental illness and more. Our reaction to our loved one’s substance abuse can unfortunately perpetuate these feeling when our concern comes out as anger and frustration. Below are some strategies you can use to both protect yourself and to support someone living with a substance use disorder. Set boundaries – when we care for another it can be difficult to say no or to stand our ground. You are well within your right to draw firm boundaries with a loved one living with a substance use disorder. Be sure to communicate your boundaries clearly and calmly, ideally, before it becomes an issue. Protecting your own wellbeing will better equip you to support another. Communicate – communicating your feeling can be challenging under the best of circumstances; when in close proximity to someone living with a substance use issue can add additional stress. Strive for open, honest and kind dialogue. Express what supports you are able to provide and ask as many questions as you need to. Aim to understand what role your loved one wants to you to play in their recovery. Use “I” statements – when communicating concerns try presenting them as “I” statements: “I feel _______ when you _______ because _______ I need _______”. “I” statements allow us to assert our thoughts and concerns openly and honestly without placing blame on an individual which can promote feelings of shame. Offer support and encouragement (if you can) – once you have drawn and communicated your boundaries, offering support for one’s recovery can have lasting impacts. You can start small by offer to do research on treatment options, drive a loved one to appointments or 12 step meetings or just check in from time to time. You can also identify yourself as someone they can turn to when times are hard and provide emotional support. You can encourage your loved one to seek treatment but remember, treatment is most successful with the individual is internally motivated to make changes in their life. Impacts of addiction span wide and include strain on relationships, particularly those with close family members. Therefore we encourage all family members seek support for themselves while loved ones are working towards sobriety in their own parallel recovery. This can take many forms including: counseling, support groups, self-care, self-reflection, and reconnecting to community. If you are experiencing compassion fatigue or burnout, it is essential that you seek … symptoms include physical and emotional exhaustion, irritability, difficulty sleeping. 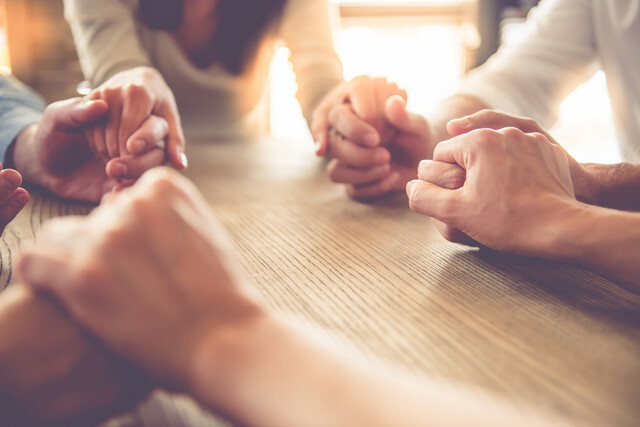 Tension runs high in families affected by addiction, it is more than likely that there are unresolved issues that need to be addressed with friend or family members who live with substance use disorders. Early recovery is fragile and those new to sobriety should focus each day on not drinking or using. Further along in a loved one’s recovery, once stability has been achieved, you may want to explore family counseling.